DAVID LE/Staff photo. 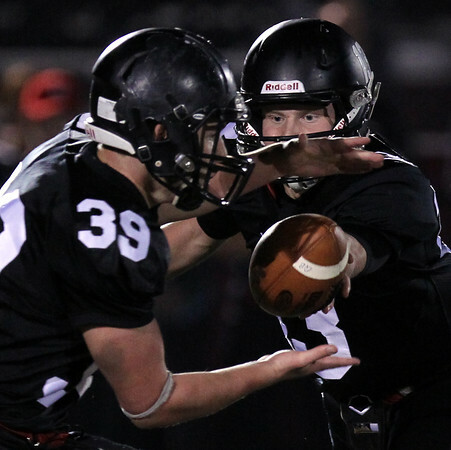 Marblehead senior quarterback Garret Keough (13) looks in a handoff to senior running back Mark Cohen (39). 11/6/15.